Kathy Buckman Gibson is Chairman of the Board, Bulab Holdings, Inc. and former President and COO, Buckman Laboratories International, Inc. Buckman Gibson first joined Buckman Laboratories International, Inc. in 1993 as Vice-President, Legal and Corporate Secretary. She holds an undergraduate degree from Duke University and an MBA and JD from Emory University. Prior to joining Buckman, she worked as an analyst for Citicorp and at Smith, Gambrell & Russell as an associate in mergers & acquisitions. Buckman Gibson is respected and recognized as a leader around the world in the industries in which Buckman participates and for her community leadership and dedication. Within Buckman, she leads the company’s global BuckmanCares initiative with community relations, volunteerism and giving activities that impact some 100,000 people each year. 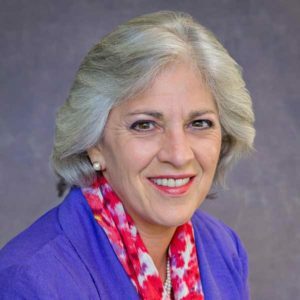 Buckman Gibson serves as Chair of Shelby County Early Childhood Education Plan, and as a member of the Greater Memphis Chamber of Commerce Chairman’s Circle, she currently chairs the Circle’s Pre-K Initiative. Buckman Gibson serves as a Trustee of the Women’s Foundation for a Greater Memphis and as a board member of the National Civil Rights Museum. She is on the national board of directors for Girls Incorporated. Past leadership roles have been held with United Way of the Mid-South, Memphis Talent Dividend, Girls Incorporated of Memphis, Memphis In May International Festival, Mid-South Reading Alliance, St. Mary’s Episcopal School, the Assisi Foundation, and Memphis BioWorks Foundation.